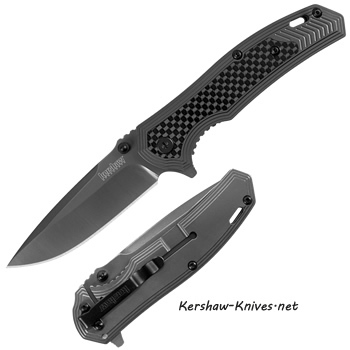 Kershaw Fringe 8310. The Fringe has all the extra benefits and details put masterfully into place. Carbon Fiber inserts on the front of the handle show off its beatuty while titanium carbo-nitride coating shows off its strength. Opens quickly with the flipper switch and locks into place with the frame lock system. The black pocket clip is in the tip up left carry position only. Let the Fringe work its magic for you.